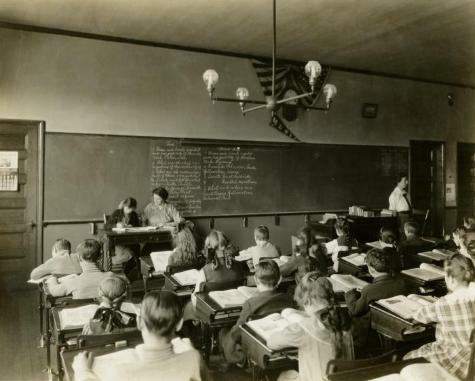 Female teacher leading a classroom full of children, Batavia Public School. Source: Series A3042-77, Historical sketches and photographs of school systems in cities and villages, ca. 1850-1920.